Is there anything worse than a bathroom covered in mould and mildew? Unfortunately, this is an all too common scenario for many interior and exterior washrooms. So how does one prevent such unsightly and unattractive staining of tiles, floors and fittings? 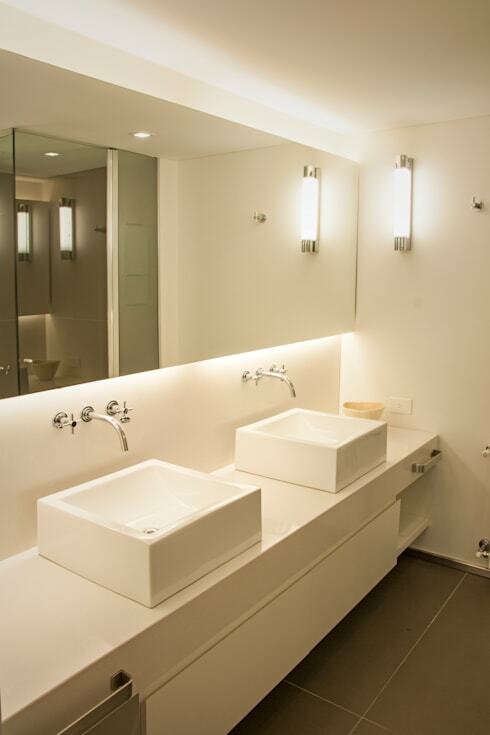 The solution for many bathrooms is correct and suitable waterproofing. Ensuring the wet space is waterproof is the first step to creating an area that will resist mould, mildew and other damp-related issues. So what is waterproofing, and how does one retrofit a space with the requisite essentials? Waterproofing is a moisture-proof barrier around walls, floors and fittings in your bathroom that protects the internal skeleton of the house. A house's structure is often built to withstand many different environmental conditions, but water can unfortunately damage it and for this reason you need to safeguard against any moisture leakage. New homes, if built well, will often be completely waterproof, but older dwellings can suffer immensely if not treated. 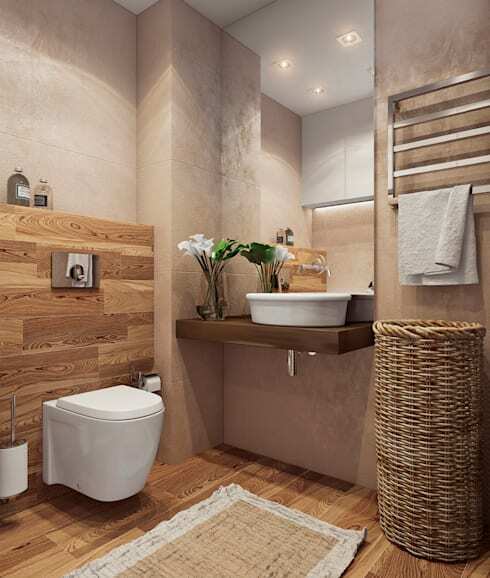 Of all the rooms in an abode, the bathroom requires the highest level of water-tightness. Any leakage will present issues, which is why we will today be taking a look at some essential tips and tricks for waterproofing your bathroom. 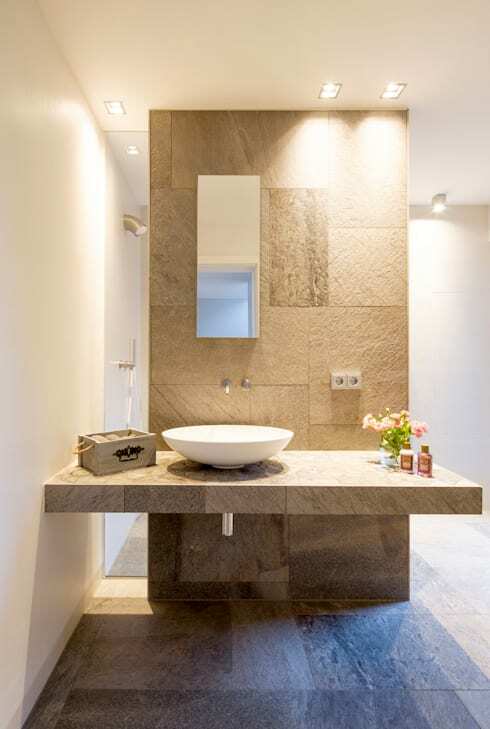 If you need a helping hand, or would simply like to see some gorgeous bathrooms, check out the images below, and ensure your wet room is fit for a flood! Once you have determined the cause of your leak, you will probably want to speak to a professional to get an informed expert opinion on how to rectify or fix the issue. Mould is definitely one of the most common issues in the bathroom and can be an indicator of water leakage. Of course, mould and mildew are a normal occurrence, and will grow in a bathroom if it isn't cleaned regularly or properly, so you should look out for persistent mould that is impossible to remove. Leaking pipes are a common cause of water leakage and will allow mildew or mould to spring up in highly inconvenient spaces. Blisters in paint or wallpaper can be a clear sign that you have a water leakage issue in your bathroom. Generally, the steam produced from a hot shower is not enough to cause bubbles or loose paint, and should therefore be looking into. Wallpaper adhesive will also come loose if affected by water, and should be assessed before fixing. Additionally, consider adding a ventilation fan to dry the area and help moisture dissipate. Walls that are affected by water leakage often look as though they are damaged. If you find your wall is warped or stained, you should look at a possible water leak in the membrane between the plaster and the internal structure. Watertight floors can withstand a fair amount of liquid before they become damaged. If your tiling is cracking, stained, or perhaps your timber is buckling, you could have a water issue. Ceiling stains are a give-away when looking for water leakage. Many of us will have experienced water leaking into the ceiling of other areas of the home after a storm, or heavy rain. Within the bathroom, the same principle applies, if you see stained or dark patches appearing you should seek professional assistance. One of the most common ways to determine if your bathroom is leaking is to simply smell it. Do you smell any notes of dampness, or dank odours? If so, you most likely need to check the status of your bathroom's waterproofing. Before you undertake any waterproofing of your house or apartment, you should familiarise yourself with local regulations and laws. In each country there are different codes and standards that stipulate who can actually waterproof a home. In some areas waterproofing must be undertaken by a professional with a waterproofer's licence. If you do proceed, you will want to look at any cracks in the floor and ensure the area you are waterproofing is treated with the necessary chemicals to remove any mould or growths that may have occurred. Contact a professional to get advice on waterproofing and re-tiling your floor, as this is often beyond the average DIYer. 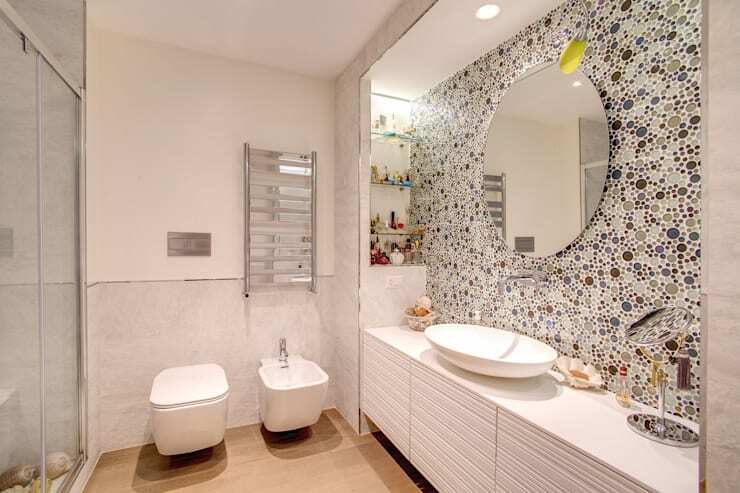 The membrane between the walls and the plaster within a bathroom is particularly essential to its integrity and worth. Before re-tiling a space in your washroom, you should ensure the waterproofed walls and ceiling are completely sealed. Only then should you consider re-tiling your space. If you only have a small water leak such as a crack in a tile, the best way is to remove the tile and re-seal it with a new one, and rectified grout. Once again, the best way to get the job done properly is to chat to a tiler to ensure you obtain the right advice. Next up, you should look at improving the air quality in your bathroom. This can be done through the use of ventilation and exhaust fans. These fans will help to draw the moisture from the air, and keep your walls, floors, and other surfaces free from damp. In addition, you may want to consider some easy options such as leaving a window ajar, or implementing some plants that will soak up the moisture and keep your room dryer while improving the air quality. Removing mould and mildew can often be a tiresome and tedious task. 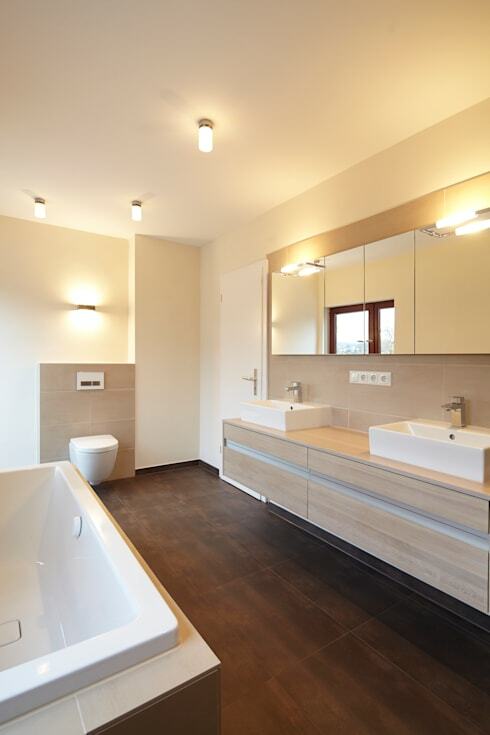 However, once you have waterproofed your bathroom, you are going to make good on any damage to the internal space. Mould and mildew can be easily and safely removed from any surface, with a simple solution of baking soda and vinegar. The quantities may need to be adjusted based on the level of mould you are attempting to remove, and this sometimes requires a little trial and error. If you would like to learn more about removing mould naturally in your home, check out another of our Ideabooks: Fight household mould in 5 easy (and natural) steps! 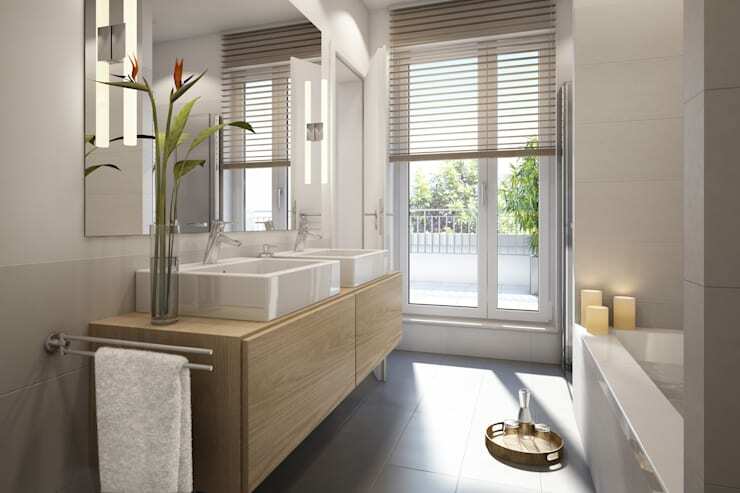 Do you have any bathroom tips or tricks for our homify community? We'd love to hear from you in the comments below!